For most people, using a passcode or Touch ID authentication on the Lock screen is enough for keeping an iPhone secure from intruders. On the other hand, many share their passcodes with those near and dear to them or give their unlocked iPhones to others to show off photos or videos. 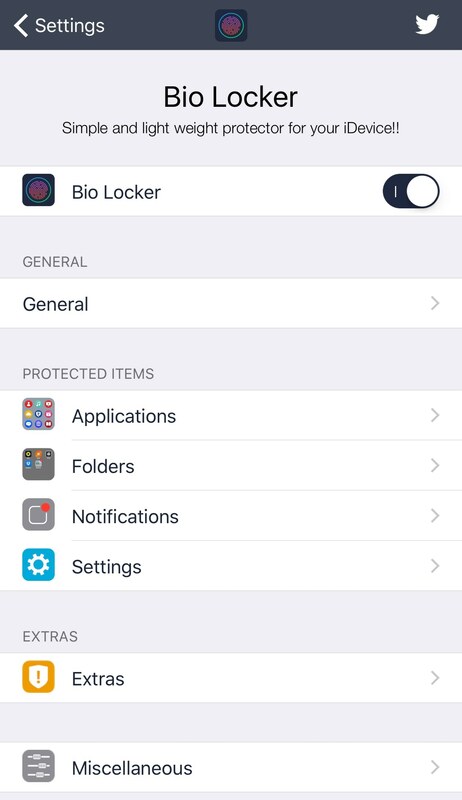 If you’re worried about someone rifling through your data when they shouldn’t be, and you fall under either of the two scenarios above, then a new jailbreak tweak called Bio Locker by iArrays might be worth checking out. For many, the first option on the list above is enough, but the tweak goes all out for your protection. Being able to lock people out of folders is also nice because now you can lock people out of your social media or banking apps from one place. 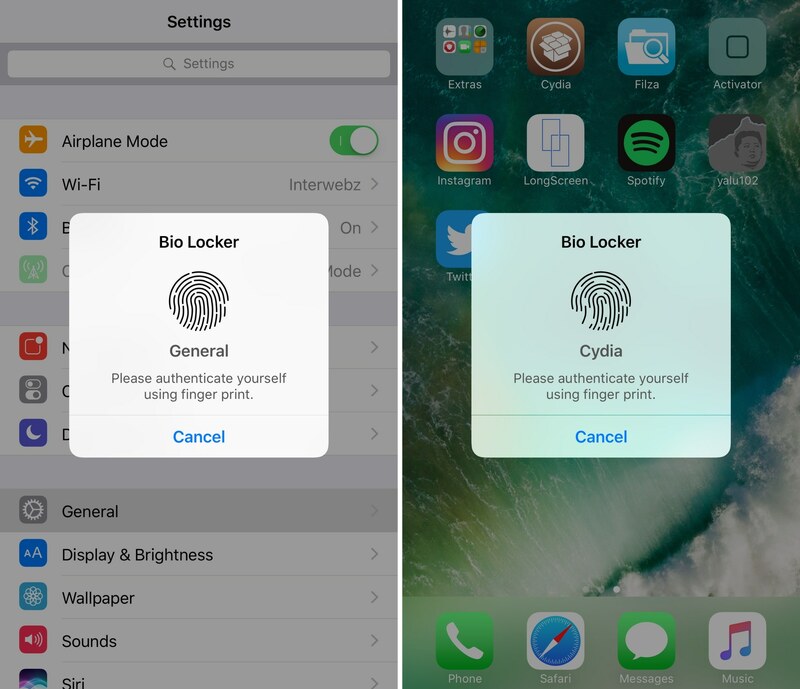 Additionally, Bio Locker prevents notifications from being deleted or read from the Lock screen or Notification Center without authentication. For those who are just super paranoid, locking people out of specific preference panes in the Settings app or keeping Flipswitches on lockdown is also useful because you can prevent people from turning off data/Wi-Fi and resetting your device, which ensures you can always track your iPhone if it’s ever stolen. Note: Flipswitch preference pane not present because we don’t have Flipswitch installed. That about wraps things up for how Bio Locker can be configured, and as you’ve seen, the options are quite extensive. Anyone looking for that extra layer of security will find Bio Locker to be a welcomed addition. In my opinion, Bio Locker is by far one of the most polished security experiences I’ve tried on iOS 10 to date, but such is to be expected from iArrays. If you’re interested in giving Bio Locker a shot, you can download it from Cydia’s BigBoss repository. Please note that you will be required to activate the tweak for your device’s unique serial number upon installation for $1.99 via the developer’s third-party payment system. 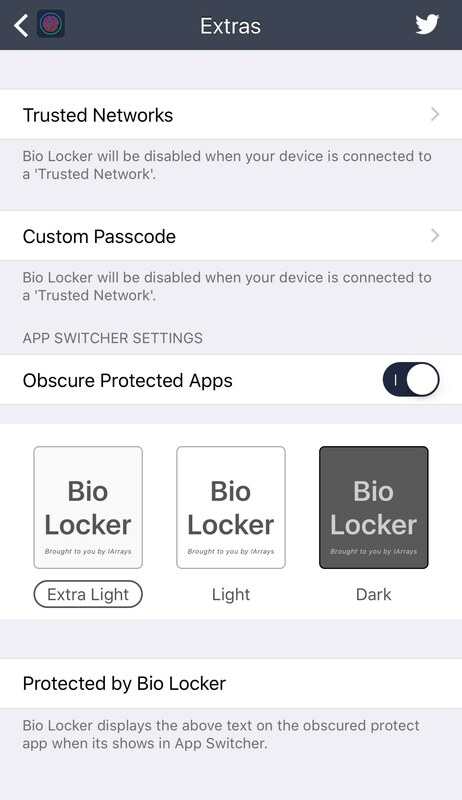 Bio Locker is compatible with jailbroken devices running iOS 8 through iOS 10. Do you like the way Bio Locker is implemented? Share in the comments section below!